It’s important to pack well for this spiritual journey so you can focus your attention on the act of worship. Here are some essentials to bring. Travellers come from all walks of life, in so many shapes, sizes and colours. Coincidentally, travellers also come with a diverse range of objectives. Some people travel to see the world and learn about different cultures, some people travel for a specific event or activity. Every year, however, millions of the faithful from all around the world travel to Mecca for a very special reason: to fulfil their religious obligations as Muslims. 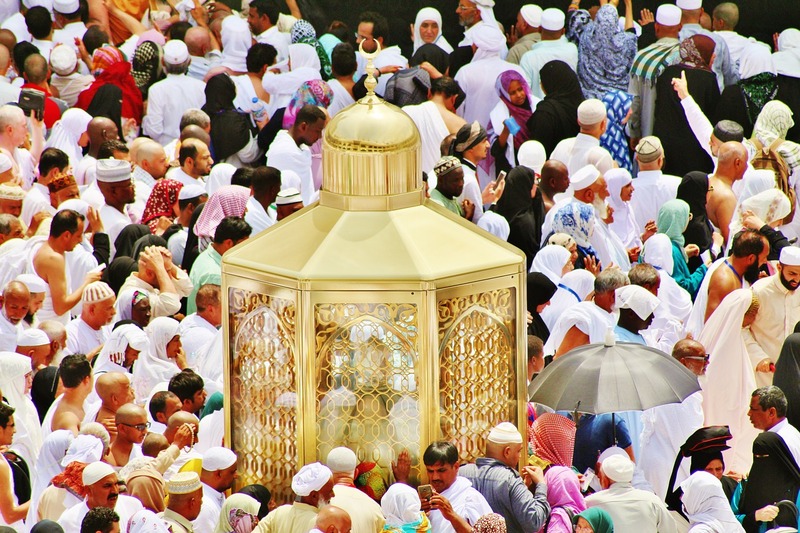 Some of the largest groups of travellers in history are made up of Hajj or Umrah pilgrims. The Hajj is a journey of epic proportions which dates back thousands of years and is a mandatory religious duty for every Muslim at least once in his/her life if he/she is physically and financially capable. 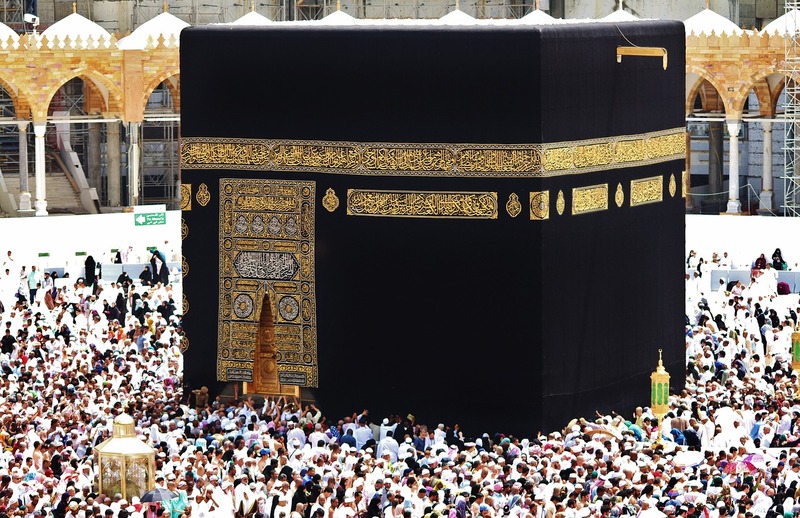 Droves of Muslims travel to the Holy city in Mecca to perform a series of religious rites and prayers in proximity to the Kaaba (a large, black cube in the centre of Masjid Al Haram that is Islam’s most recognisable shrine). The Hajj can be said to be the larger pilgrimage while the Umrah can be said to be the smaller pilgrimage. The process of obtaining permission to enter the Holy Land and perform Hajj is a lengthy one that could span years. If you are a Muslim and have been chosen to be on the list this year, congratulations! You are about to partake on one of the most profound journeys of your life. In light of this, there are many factors to consider as a traveller and as a Muslim before you take off. It’s important to be well prepared and well-packed before your travels as the Hajj journey can be a rather gruelling endeavour, especially if you’re unprepared. As a Hajj traveller, you must pack and prepare with two intentions. The first is to allow yourself the ability to relax and focus on important things during your trip like the ability to properly worship, rest and avoid sickness. The second intention is to remember that this is an act of worship, which means that you must do your best to prepare for worldly necessities while leaving the rest up to Allah. Last but not least, you should expect the unexpected. Hajj journeys are known to be quite chaotic as many many people from all over the world will be in one place at the same time so try your best to stay vigilant, remain patient and be prepared for anything that might go wrong. Here is a list of some of the most basic items you should bring with you on your Hajj pilgrimage. Many of these items also apply to the Umrah pilgrimage and can be used interchangeably. When packing food, keep your energy as a top priority. You’ll want to make sure that you’re not lacking in energy during your trip as the Hajj pilgrimage will really require you to keep your strength up. Make sure you pack a collapsible/reusable water bottle to keep yourself hydrated. Electrolyte tablets and vitamins to take care of your vitamin C intake will be an added bonus. Energy-rich foods like granola bars, protein bars, energy or marathon chews without caffeine are convenient foods. Non-chocolate vitamin bars, dates and nuts are also great for making sure you’re alert and ready for whatever the journey has to offer. Mecca, the Holy Land, is a desert terrain so it’s crucial to come prepared. Adequate foot gear and clothes that protect you from dust, heat or painfully cold desert nights are a must. Do consider also packing a pair of flip-flops for bathrooms, reusable or disposable shoe covers for tawaf and have at least two pairs of comfortable walking sandals. Sweatshirts and sweatpants should be included in your list (at least one of each) as well as one or two pairs of pure cotton clothing that are thin but not sheer. This will help minimise laundry issues. For heat management, basic necessities include a mini squirt bottle and a mini electric fan necklace or manual fan for when the heat of the day is at its peak. Bring along a cooling towel (the same kind that runners use) too and a large-brimmed hat to provide shade. These ensure that your journey is as comfortable and convenient as possible. A door hook hanger for the bathroom, plastic bags, a drawstring shoe bag, and a neck pouch for keeping money are important items. Also, ensure that you have plenty of extra bags in case you go shopping on your way back. Small towels, an umbrella, an eye cover or sleeping mask, earplugs for when it gets noisy, sunglasses for when it gets bright, a sewing kit for when clothes tear and a backpack or duffle bag for the Hajj routine itself are all things that you will be glad you brought. To help ensure you keep as clean and protected as possible, keep general hygiene supplies handy. This includes a few pairs of gloves and disinfectant spray. You can also bring unscented hand sanitisers, unscented soaps, Vaseline or lotion oils and sunscreen too. The portable lota (Wudu Pal) is pretty convenient for taking your ablution (Wudu) in times of no water. Spiritual supplies are usually on anyone’s list of items to bring when preparing for Hajj. A Quran that is preferably small yet not too hard to read is definitely a must. Pack a Dua book (or use one of the many apps available online), a personal travelling prayer mat, a notebook with two pens and a tawaf counter. You can also find various Muslim traveller packs for sale that make praying convenient. These may suffice as well. In this day and age, technology is understandably important, especially when it comes to travelling. Bring a portable phone charger, an extension cord with multiple outlets and an international power adapter along. It’s also a good idea to use an older phone that you seldom use too. This way, your main phone is not in danger of getting lost or stolen during your travels. Last but not least, medical preparation should be at the top of any traveller’s list. Illnesses or injuries can lead to enormous amounts of grief and inconvenience during your trip. In light of this, it’s important to pack the essentials. A basic mini drugs kit for allergies, pain relief, anti-diarrhoea or digestive problems is definitely a must. Antibiotics are available at pharmacies there if you need them. If you’re prone to nausea, ginger essential oils can help. If you’re prone to muscle aches, unscented topical pain relievers may do the trick. Bring paper bags or diaper bags in case of emergency too, in case of nausea or any other problems.